Welcome to Muskoka Guided Fishing! 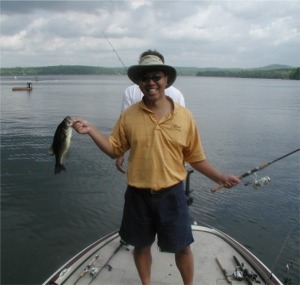 Experience guided fishing in Muskoka at its best! 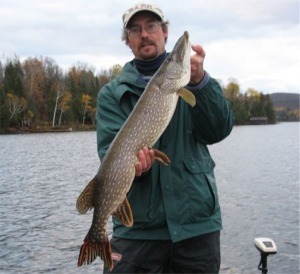 Muskoka Guided Fishing Tours has been successfully guiding fishing trips in Muskoka and the surrounding region for close to 25 years. There is no greater factor in determining a successful outing than "Time on the Water". Being self employed allows both Dave and Garrett to 'pick up and go' at a moment's notice, usually spending an average of 3-4 days on the water every week from mid-May to October. Needless to say, if the pattern changes and the fish move ... they are on top of it! Garrett Green has been tournament angling since the mid-1980's. 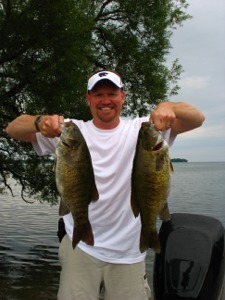 "I have had some major wins such as the Canada-U.S. Walleye in 1987 and the Phoenix Open and the Muskoka Pike Tournament in 2002 but I am most proud of being a 3-Time Ontario Bass Federation Champion which took me one step away from the Bassmasters Classic...the ultimate goal in tournament angling". " I find it very rewarding to see the smile on a person's face when they land a fish with a new method that I taught them." 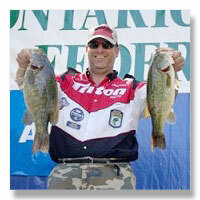 Dave Rochette is a 7-Time member of Team Ontario, a one time OBF National Champion and has many top finishes under his belt including two 1st place finishes at the Huntsville Pike Tournament. 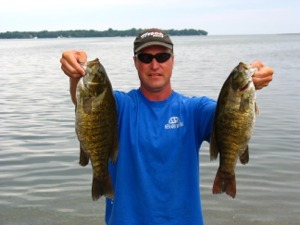 "I have fished many of the northern and eastern United States as a member of the Ontario BASS Federation and the CBAF but I believe the angling opportunities in Muskoka offer variety and numbers of fish that are second to none." In 2017 we will continue to have an optional shore lunch that you can request when booking your trip. The shore lunch will be available to all trips that take place on Lake Muskoka. We use a public park on Eileen Gowen Island that has perfect barbecues and picnic benches. Garrett's shore lunches will melt in your mouth. His experience stems from many years of guiding at world famous Kesagami lodge. 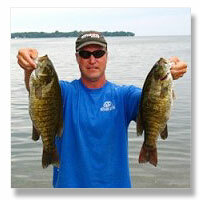 The species that we target include Pike, Smallmouth Bass, Largemouth Bass and the occasional Walleye. Muskoka guided fishing Captains are proud supporters of Shimano fishing gear.